As of July 4, 2011, most of my blogs are on indefinite sabbatical, but you can still keep up with me on Twitter, my writing and Florida blogs, and JSH News! A Belgian woman caring for the grave of an American World War II serviceman has helped a Harlan County family solve the mystery of where their relative was buried. 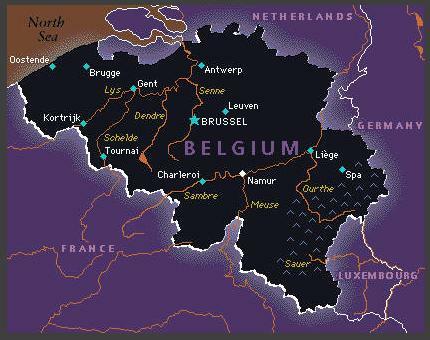 Dominique Van de Straete grew up listening to her grandfather's stories of the German occupation, the Belgian resistance and how he'd brought food to a group of Jews hiding in the forest. After trips to the German concentration camp in Auschwitz, Poland and a museum dedicated to the Battle of the Bulge, Van de Straete felt she wanted to do something to help honor the memories of the American servicemen who helped end the war. "They left everything behind, parents, maybe a wife and some children," not knowing if they would ever return, she wrote in an e-mail to The Courier-Journal. "They are true heroes and therefore we have to remember them." So the 27-year-old nursery school teacher applied to help maintain a grave at the Henri-Chapelle American Cemetery and Memorial in Belgium. The cemetery is on land that U.S. troops liberated in 1944, and it serves as the final resting place for almost 8,000 Americans killed during the Battle of the Bulge or during the advance into Germany in late 1944 and early 1945. Van de Straete was assigned to care for the grave of Henry Lee Burkhart, and all she knew about him was what it said on the grave marker - he was from Harlan County, Ky., he served in the U.S. Army's 2nd Infantry Division, 38th Regiment and he died Feb. 5, 1945. Wanting to know more, she contacted The Courier-Journal, which placed a short item in its features section. That eventually found its way to Burkhart's great-nephew Daniel Blevins, who said he couldn't believe it. "Because all these years, nobody knew where he was buried or anything," he said. Blevins said he was touched to learn not only where his great-uncle is buried but that someone had been taking care of the grave. Blevins and Van de Straete have exchanged e-mails, and she has sent him pictures of the gravesite. Blevins said he grew up hearing how his grandmother, Catherine Blevins, lost two brothers in the war. Harvey Burkhart was laid to rest in Harlan County, but the family never knew where Henry Lee, or "H.L.," Burkhart was buried. "I heard her say several times that she wished she knew where he was buried because one day she'd like to visit his grave," Daniel Blevins said. His grandmother died in June 2009, but now he hopes to one day make the trip she never could. 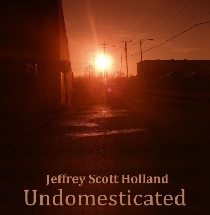 Jeffrey Scott Holland's new novel "Undomesticated" now available in paperback! 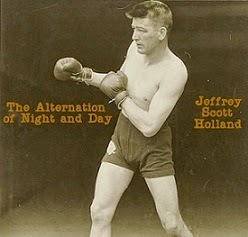 "The Alternation of Night and Day", JSH's voodoo/boxing novel in ebook and print! Is White-Nose Bat Syndrome in KY or Not? Altering the future since 1966.